It’s a little rainy and chilly here, and produce is still not available at the market. I’m itching to can something. Anything. I did two batches of chicken broth, but that didn’t satisfy the itch. So I decided to can with this recipe while waiting for strawberries and rhubarb. I set out to make the baked beans of my childhood. That sweet, tangy elixir. The ones from the jar. With the big hunk of whitish, frighteningly delicious fat. I’ve been messing around with these flavors for awhile, and finally hit upon the perfect – well, MY perfect – baked bean. These beans are so easy, you’re going to be thrilled to have them at your barbeque dinners this summer. One pound of beans will make four pints. I took only one photograph of the entire process. The one at the top of the page. I don’t know what I was thinking. 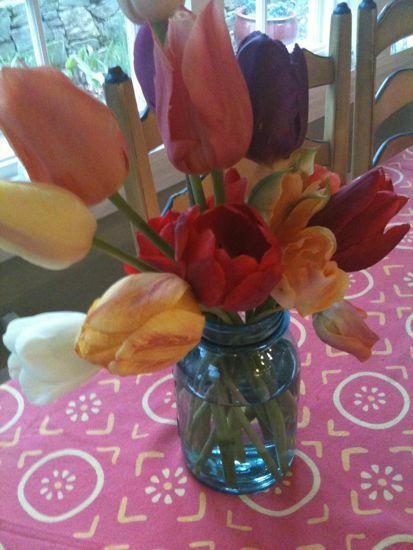 Here’s the bouquet of tulips from this morning’s forage in the backyard. In a large dutch oven, cook the guanciale at a low temperature for 5-7 minutes, to render some of the fat. Turn the heat up and slightly crisp the corners. Add all the other ingredients, stir well and bring to a simmer. Add the beans, add water just to cover. Cover the beans with parchment paper – this will keep them moist – and then with the pot lid or foil. Slide the pot into the oven and cook for 2-3 hours. Uncover the pot, stir well and cook for 1-2 additional hours, until the guanciale is beginning to crisp. These beans will keep in the refrigerator for two weeks or more. Pressure can for shelf stability at 10# of pressure for 75 minutes. I have never thought of canning my own beans…only you Mrs. W. I’ve been so jealous of your spring but today…today there is hope. Warm, doors open, tree in the front starting to leaf and I can see the buds. I will miss the tulips I usually plant but am just happy to be seeing green. Your flowers and tree are beautiful, but must admit, would expect nothing less. You are the answer to my prayers, once again – I tossed my B & M beans , well, donated, because of all the salt. Making your recipe soon – thanks!! 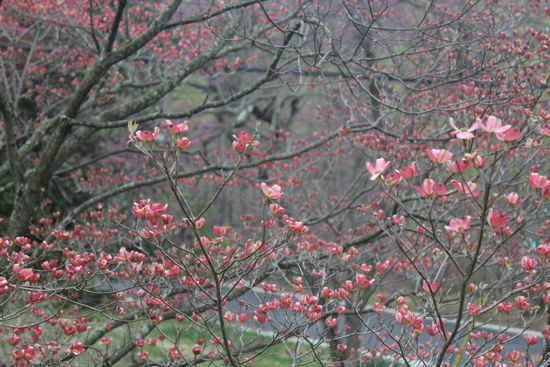 The dogwood is absolutely beautiful. I have never canned my own beans but you inspire me to. Love this idea and this recipe. yummy!!! You can bet on it that I am going to can these puppies. Sounds so good! Did I tell you lately that I love you? how did these beans last long enough to make it to the canner??? Barb – thanks! if you were here, I’d give you a bunch of tulips for sure. Liz – hope you and Larry enjoy the beans! Laura – Antigua sounds like a great idea. Maybe next year! Pamela – you ask a very good question. Feel free to change up the bean types, but adjust the time accordingly. I had large navy beans that needed every minute of the cooking time, but start testing yours 90 min after they go in the oven. The crispiing part is essential when serving, but if canning, could be shortened up. The beans should be nearly done when they go into the canner. This looks fantastic. I think I’ll whip up a batch tomorrow! It’ll be nice to have on the pantry shelves to break up the routine a bit. I can Barbecue Chipotle “baked” beans, too, but they take 4 weeks after canning to be ready to go. It’ll be nice to have something immediate! Thank you, Cathy, for an awesome recipe. I’ll check back in after making them! 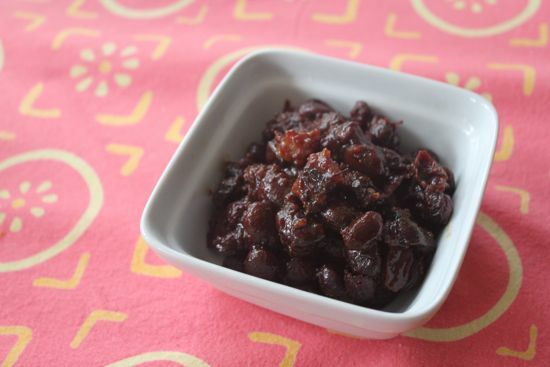 I would love to see your bbq chipotle bean recipe – heading to your blog RIGHT NOW. Thanks, Cathy! They’re listed under “Canned Barbecue Beans”. I have a pot of your baked beans bubbling away to go with my Easter ham balls right now!!! Yesterday’s batch took all of five hours to be ready. The beans were a little old (a Christmas gift) – in general, I think these beans take way longer than traditionally simmered beans, so be aware. They sure do taste good. Breakfast fare for at least a week now. Perfect timing, I just finished curing my jowl from the pig at the Charcutepalooza class in Lil’ Washington, and I was think of what I could do with the beans I have left from last fall. Now I have my dish for the family easter dinner. have you and my mother been sharing recipes 🙂 your recipe is just like the one I grew up with living in New England. I remember watching the skins of some of the beans floating to the top of the bowl as the beans were soaking the night before. Oh how your recipe and post have brought back memories! Ooh, I’m just catching up now. I had a similar style baked bean up at Stonewall Kitchen in York, ME. at one of their cooking classes. I absolutely love this, but I never considered canning it. I got into canning way too late last season, can’t wait to “can it up” this season! very late here, but have a question on the baked beans ingredients. Is the Coleman mustard the dry kind or the prepared kind; or does it matter? Thanks. I am so glad I found this site! It’s dry Coleman’s, but the prepared kind would probably work, too. I would suggest baking the beans without the vinegar and tomato for the first two hours, then add and continue baking until tender. So making these right now and a question you wrote in the recipe “apple cider” though later referenced vinegar….so is it apple cider? or apple cider vinegar? Thanks! It’s apple cider syrup. Simmer until reduced and the consistency of maple syrup. Thanks for the great recipe 🙂 Got them in the oven now, can’t wait to get them in the canner tonight!! Hi there! I’m curious what the texture of the final pressure canned baked beans are like, since they are being cooked fully before being pressure canned. I have only pressure canned beans plain – they were only partially cooked before canning and they are definitely on the soft side. I can’t bear to do a whole batch of baked beans and not like them.